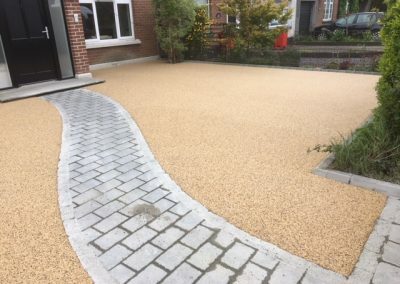 We supply and lay Resin Bound Aggregate pathways and driveways throughout Ireland. We were one of the first companies in Ireland to start supplying resin bound aggregate. We have completed jobs for Malahide castle in Dublin, Fingal County council, The Royal hospital in Belfast, Tesco in Dundalk, Muckamore hospital in Antrim to name a few. 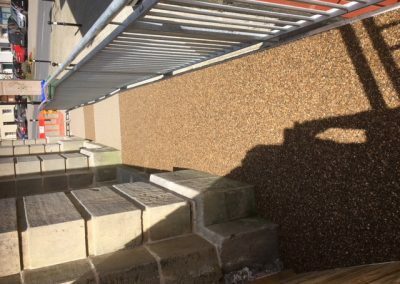 We use a UV stable clear polyurethane resin to bind together a mixture of aggregates to give a flat surface with a natural aggregate colour and good structural strength. All our aggregates are washed, dried and bagged to ensure that no dampness or dust in the stone. We offer a ten year guarantee with our work. Get a quick and easy for Resin Path from our team at Turley Bros.
Resin Bound System can be used to give an extremely durable aggregate finish to Paths, Drives, Car Parks and even Roads on macadam, asphalt and concrete. 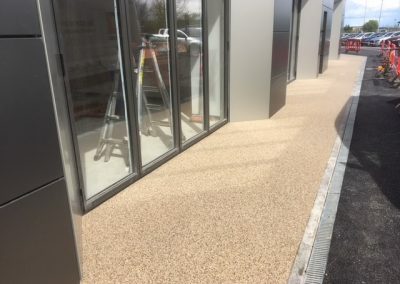 Resin Bound finishes are applied to sound, clean, dry tarmac, asphalt or concrete surfaces. A good edging detail such as York Stone or Concrete edging slabs are required. Typical laying depths would be a minimum 15mm for pedestrian areas or 18mm for driveways. 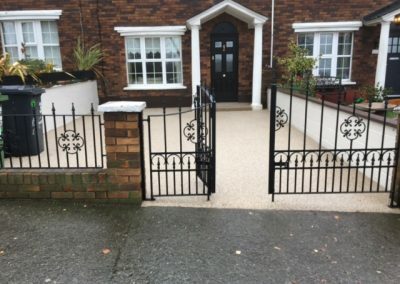 How Durable is Resin Bound Surfacing? We supply a range of different finishes in a range of colours and textures: buff, brown, gold and silver, pink, black and green are readily available. Please feel free to ask us for details and samples.